Support Backup file Created by Windows NT Backup & Symantec Veritas Backup Exec. It allows you to view the content of bkf file after repairing it. It maintains the same hierarchy of folders as it in an originial file for providing extra accessibility to the user. 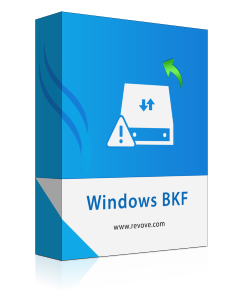 You can recover the data of bkf file using the bkf recovery tool. It provides flexibility to the user for the retrieval of selective data from corrupt or damaged BKF File. The powerful search option for finding the desired file within the backup file. It enlisted the search result with complete details such as File Name, Size, and modification date. The BKF recovery tool enhanced the process of recovery from corrupt bkf file by providing the flexibility to the user to save the extracted data at the desired location with same metadata. Is there any limitation for BKF file Size? The Pro Version of BKF Recovery Tool does not impose any limitation on file size of BKF. The software is successfully tested with 1TB of data. Can I able to recover data using BKF recovery tool? You can easily recover data from a backup file at the preferred location in the same naming format using bkf recovery software. Does software repair highly corrupt backup file also? Yes, The Software is capable enough to repair the higly corrupt backup file. You have to scan the bkf file in deep scan mode which automatically scans & repair the corruption areas. Can I recover multiple bkf files simultaneously? No, The BKF Recovery Tool only supports one file at a time. You have to use it many times for recovery of multiple bkf files.